For Dry / Damaged Hair: Lavender and avocado oil are combined with over 12 certified-organic plant extracts and oils to bring intense moisture and vitality to dry hair. Hair is left shiny, soft and luxurious with a wonderful and light lavender scent. Aloe Barbadensis (Aloe Vera) Leaf Juice*, Cetearyl Alcohol, Glycerin, Aqua (Water), Lavandula Angustifolia (Lavender) Oil, Persea Gratissima (Avocado) Oil*, Orbignya Oleifera (Babassu) Seed Oil*, Tocopherol (Vitamin E), Panthenol (Vitamin B5), Juniperus Mexicana (Cedarwood) Oil, Simmondsia Chinensis (Jojoba) Seed Oil*, Cymbopogon Martini (Palmarosa) Oil, Mel (Honey)*, Helianthus Annuus (Sunflower) Seed Oil*, Wheat Amino Acids, Hydrolyzed Rice Protein, Arnica Montana (Arnica) Flower Extract*, Chamomilla Recutita (Matricaria) Flower Extract*, Camellia Sinensis (White Tea) Extract, Calendula Officinalis Flower Extract, Behentrimonium Methosulfate, Stearalkonium Chloride, Sodium Benzoate, Sorbitol, Citric Acid, Potassium Sorbate, Cetyl Hydroxyethylcellulose, Caprylic/Capric Triglyceride, Linalool^, Limonene^, Geraniol^. Apply to wet hair, leave in for 1-5 minutes. Rinse. Below are reviews of Lavender & Avocado Intensive Conditioner - 60ml by bodykind customers. If you have tried this product we'd love to hear what you think so please leave a review. Lavender and avocado oil are combined with over 12 certified-organic plant extracts and oils to bring intense moisture and vitality to dry hair. 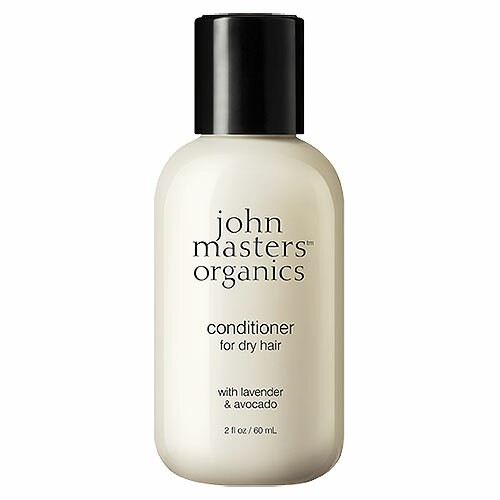 Hair is left shiny, soft and luxurious with a wonderful and light lavender scent.